The fine line between the car door and the SUV. Where possible I try to look on the bright side of cycling. Look for the positives and avoid complaining about x, y and z. However, when cycling in America (more specifically, Jamaica / Forest Hills, Queens, New York) I always feel bad because it is hard to put a positive spin on it. Cycling in this part of the world is just tough. If you ever wondered why only 0.5% of journeys in America are by bicycle, just come and have a go yourself. 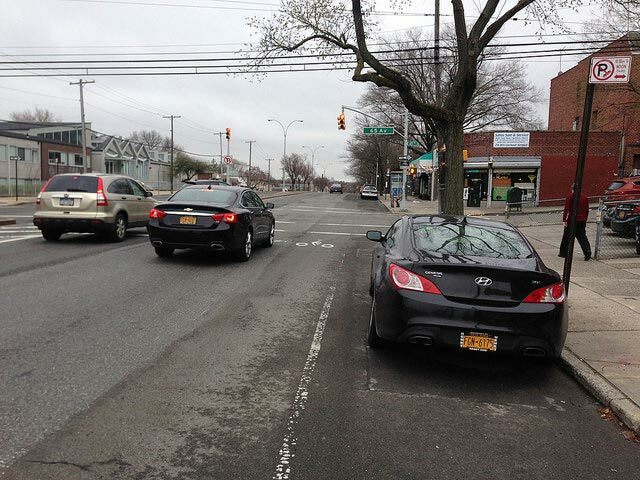 This is a cycle lane on 164th Street. 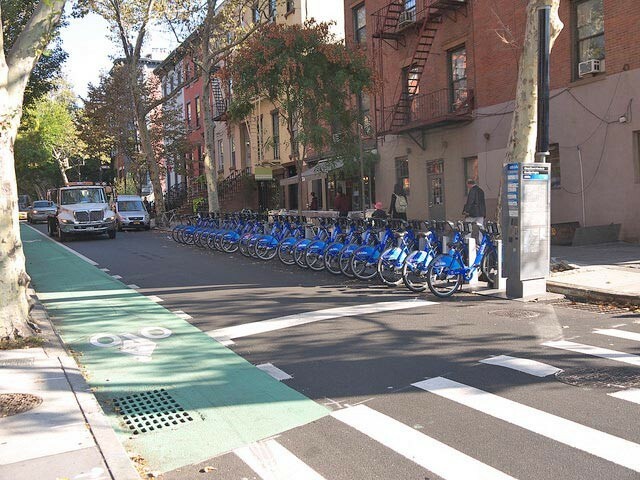 It is part of a recent attempt to offer some form of infrastructure for cyclists. The problem is that if you ride in the middle of the cycle lane, you are at risk of being hit by an opening car door. 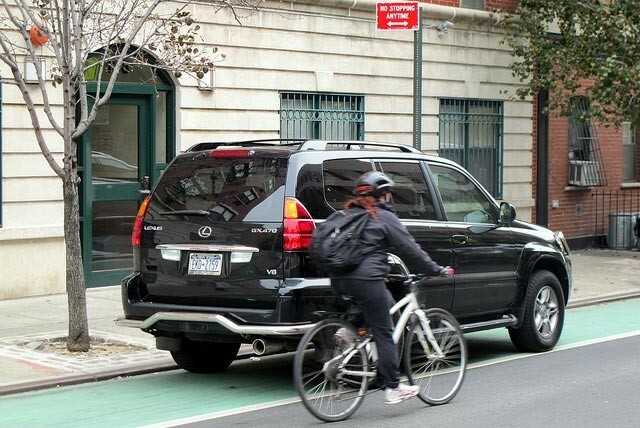 Most New Yorkers do not expect cyclists on the roads, so you have to expect the worst. It means when I cycle on this kind of cycle lane, I’m hugging the left curb of the cycle lane. I’m riding just to the inside of the left white painted line. If you stray an inch over into the road, you risk getting beeped like crazy. If you have cycle in the middle of the lane you risk getting hit by car door. You feel there is about 6 inches of the whole road, where it’s kind of OK to cycle and hope for the best. These cars are actually quite small by American standards. 50% of cars seem to be SUVs – which is understandable given the state of the roads. There are potholes galore. To be fair the winter in NY was really cold and tough, it means it’s a constant battle to repair the roads. It’s not all bad news. 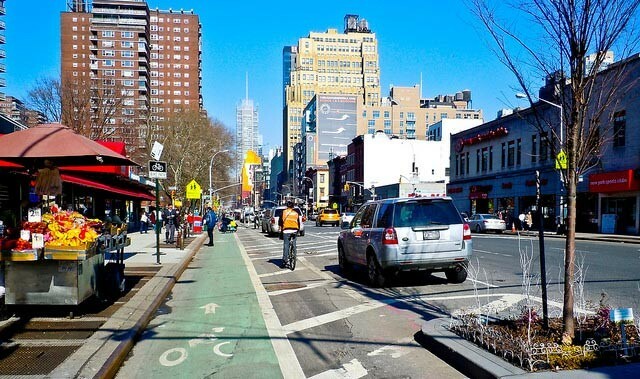 Down in Manhatten there have been more conscious efforts to create worthwhile bike lanes. Bike lanes have been quite controversial in New York. Somehow bike lanes which take space from motor cars threaten some deep-rooted fabric of American society, where car is king and the right to drive a big Japanese SUV and burn cheap petrol from the Middle East is deeply embedded in the national consciousness. Cycling is often seen as a bit too eco and ‘left wing’. But, hopefully things are changing, and the past 10 years have seen some progress. In a way cycling should appeal to America’s love of individualism and freedom. At the end of the day, there’s plenty of space for bicycles in American towns. Many US roads seem to be about six lanes. Also, I don’t know why cycling is seen as ‘left wing’ After all, it was Norman Tebbit who told the unemployed to ‘get on their bike and look for a job’ I think even right wing Republicans could build a cycle lane for that sentiment. 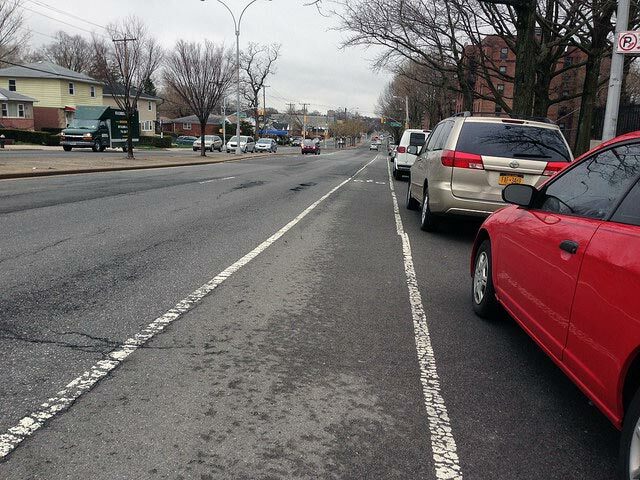 I know you’ve cycled in a lot of places so I’m sure you’re right that Queens is particularly bad. But I would say that the US certainly doesn’t have a monopoly on door zone cycle lanes and people parking in bike lanes. All pretty common in Manchester (UK) too, and other areas I’m sure.